Founded in 1989, Wee Nam Kee has been serving Hainanese chicken rice for more than 20 years. Wee Nam Kee has won numerous awards such as Top Hawker at AsiaOne People Choice Award in 2010, Top 3 in Singapore Hawker Masters 2010 (Chicken Rice Category) and Singapore Day 2009 (London), 2011(Shanghai) and 2012 (New York). 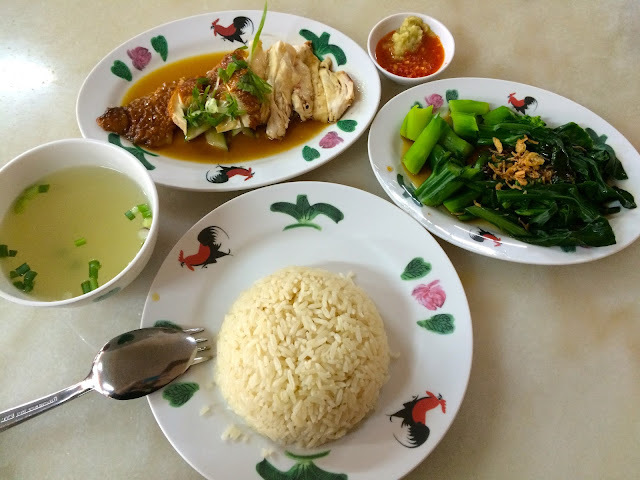 Let’s try the famous Haianese chicken rice and see if it lives up to its reputation. 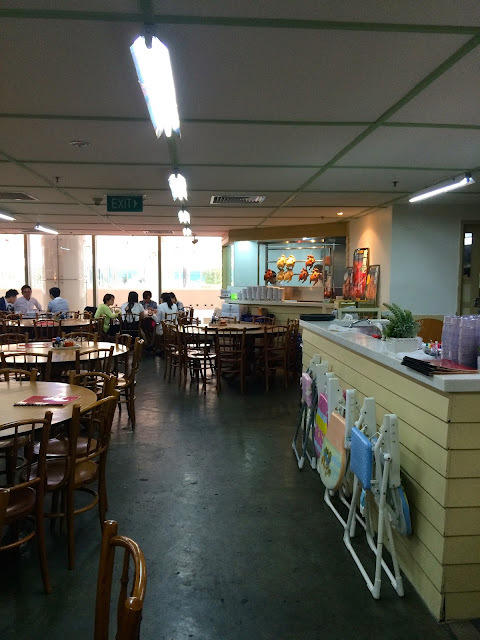 The restaurant is designed like an old coffeeshop, complete with metal gates and windows. I am not at all impressed with their Hainanese chicken rice. It’s edible and that’s about the best thing I can say. The chicken meat is dry and tastes like cardboard. The skin, even though I ordered the roasted version, manages to be completely tasteless.Chicken rice set which includes a plate of vegetables and a bowl of soup costs $7, this is still acceptable although most Singaporeans would consider this a little expensive. Ironically, the only thing that can be considered tasty is the plate of kailan served in soy sauce which is crunchy and fresh. I think the only reason Wee Nam Kee managed to survive all these years is due its reasonable pricing. 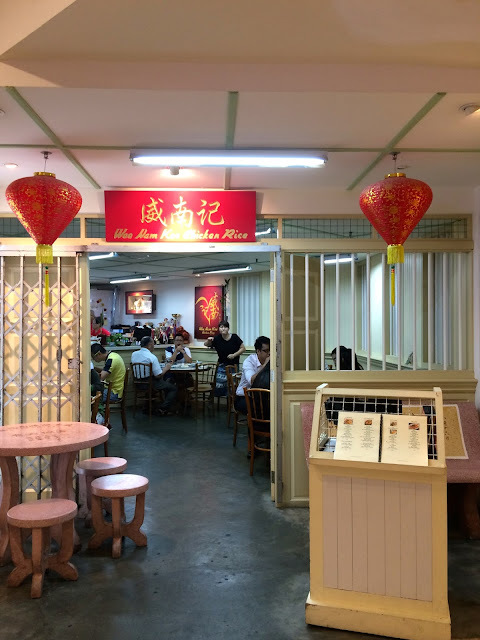 I can’t comment about the other zi char dishes it offers because I have yet to try them, but the Hainanese chicken rice is definitely not up to standard.Wee Nam Kee has four outlets in Singapore, I hope that the other outlets does a better job.